This one went undercover as a pig today. 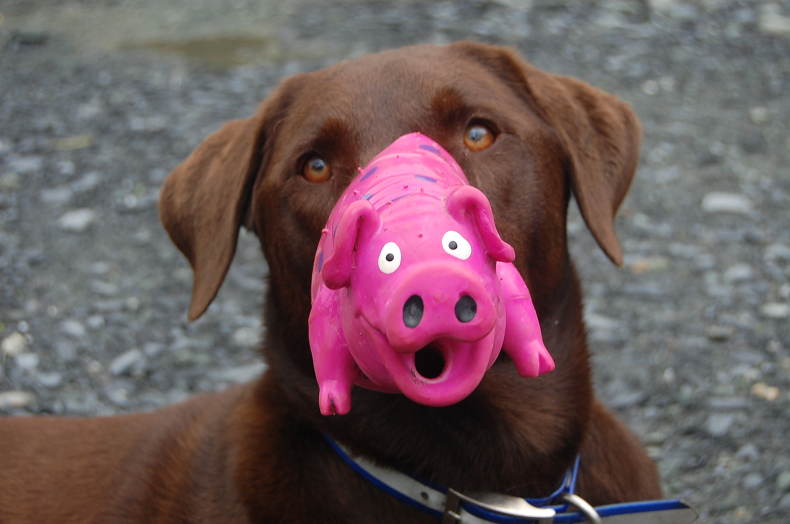 I think he was trying to hide from the fact that he ripped up the beloved pig. Today, Chester tried out a new look. It didn’t impress Yoshi -to say the least.